Are you looking for a gentle method to exercise and relax during your pregnancy? The Pregnancy Programme Yoga DVD offers you three user-friendly sequences to inspire you to stay active during and after your pregnancy. Split into three convenient classes, to match the three trimesters, you’ll be able to adapt your yoga practice safely as your baby grows and your body changes. Can also be used after baby is born! Pregnancy yoga is suitable for both beginners and experienced practitioners. During pregnancy, yoga can play a key role in enhancing the experience of this precious time and empower the mother-to-be to have the most conscious birth experience. Yoga can help women enjoy their pregnancy with minimal discomfort, cultivate breath awareness and strengthen the body in preparation for labour. Yoga also offers you the opportunity to connect with your baby, and coming to classes is a great way to feel part of a community of pregnant women. 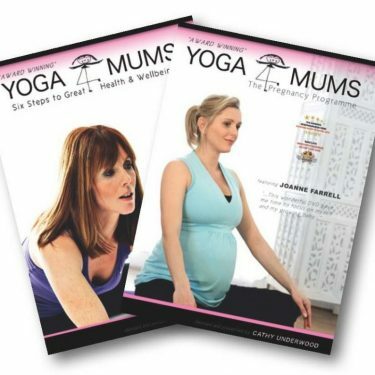 Yoga DVDs are a valuable home resource but are always a supplement to the hands on guidance of an experienced pregnancy yoga teacher.